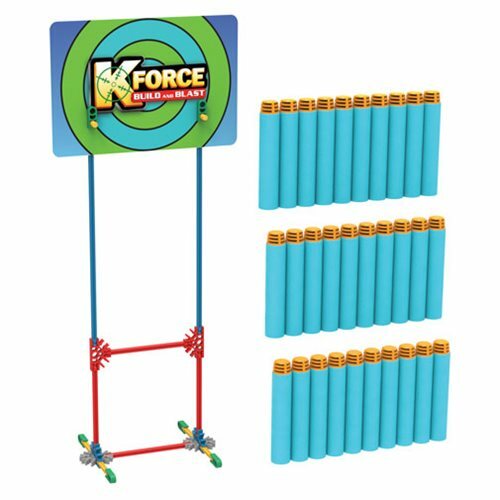 The K'NEX K-Force 30 Dart Pack and Target Accessory Pack comes with 30 K-Force darts and 57x K'NEX rods and connectors to build a blastable target. Compatible with the entire K-Force Build and Blast line. Ages 8 and up.